SINGLE BLOOD BAG system is used for collection of whole human blood having anticoagulant CPDA / CPDA-II / CPD solutions BP / USP. 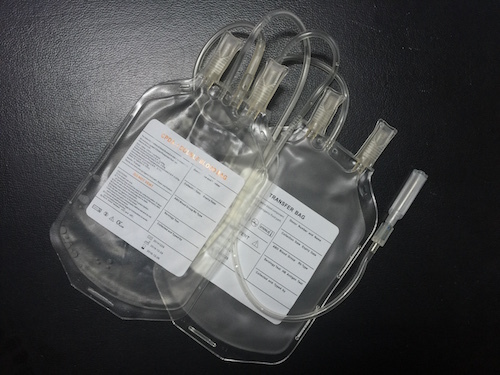 DOUBLE BLOOD BAG system is used for separation of two components from whole human blood. The Double Blood Bag system includes one primary bag having anticoagulant CPDA / CPDA II / CPD Solutions BP / USP and one empty satellite bag.